Notes: I've been doing a little editing work in the world of role playing games of late, and I've been making use of this book somewhat. However, I hadn't read it front to back yet, and I've been thinking I should do this because it could help with my editing work, and I'll likely find the information interesting as I'm also a player of the D&D game. For those who don't know, the Monster Manual is just that, a collection of monsters that characters in the D&D game might face in combat. Mini review: I'm glad I read this one. It definitely gave me some ideas for my own games, and it was a nice trip down nostalgia lane from my earliest days of D&D back in the early '80s. 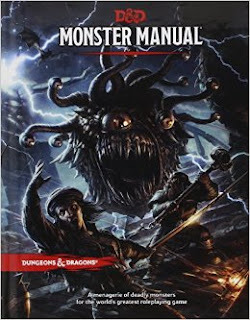 Yes, if you're a dungeon master, this book will be a huge boon to you. And if you just like to read about fantastical monsters, you'll probably enjoy this book even if you're not a tabletop role playing gamer. Notes: I've read a couple of other books by this modern swordsman and appreciated them, especially as he focuses upon the Italian school (for lack of better words). 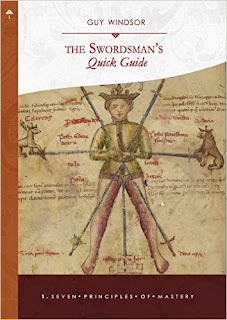 So, it was a natural to check out this e-book about the principles for mastering the sword. Mini review: This little book was a bit more general instead of focusing upon swordsmanship alone, but the practices here could definitely help with sword fighting. In truth, this was more of a brief self-help guide to being successful at life, and again, much of this is appropriate for swording. Taking a lesson from the writing world, I opine that description can be used too much in the wrong places, in my weekly Nerdarchy article. Enjoy! Notes: My father did not read a lot of fiction, and at first I would have thought this novel would not have been his kind of thing. 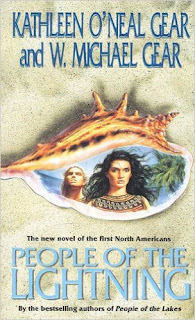 But upon learning more, that this is about pre-Columbian North Americans and written by a couple of archaeologists, perhaps this would have been something that drew my dad in, because like me he was always interested in history. 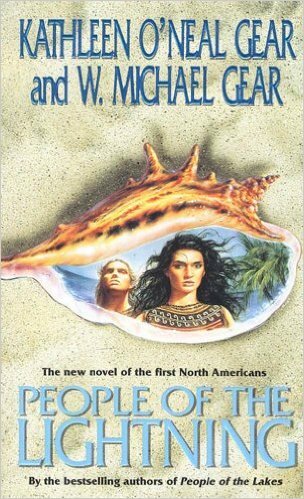 Mini review: The plot was quit good, mixing anthropology with fantasy, and leading to a nice conclusion. The characters were also interesting, from the worst of the worst to the best of the best. However, the writing style was not something I appreciated. Far too much description, in my opinion, especially at the wrong moments, such as during intense conversations. More than once I wanted to scream when someone would be talking and suddenly they'd look out upon a surf or up at the sky, etc. Still, not a bad book. I might read more from these authors at some point. 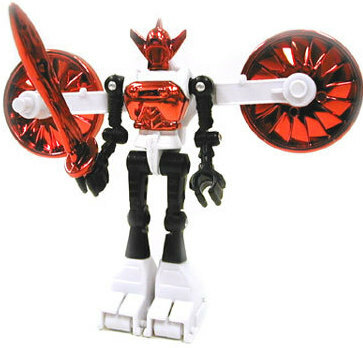 If you were a kid in the late '70s, you might have played with Micronauts action figures and play sets. If not, you missed out. To discover more, read my weekly article at Nerdarchy.com. 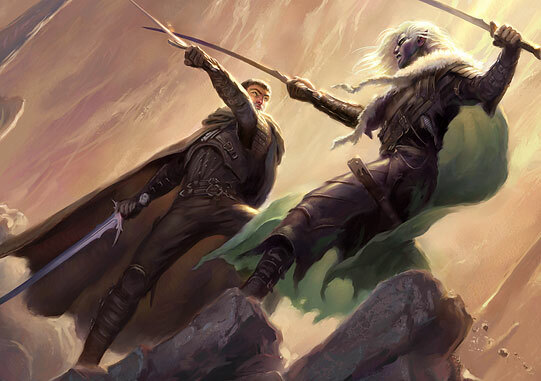 This week my article at Nerdarchy.com takes a look at the rules for 5th edition D&D's Finesse Feat, which allows characters to use either Strength or Dexterity for hitting and damage in combat. I try to point out a few things about the rules, plus I have a gripe or two as pertaining to swords in the game. 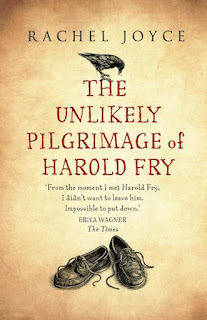 Notes: In this novel an Englishman discovers an old friend is dying and decides to walk across country (ala Forrest Gump style, I suppose) to see the friend. Why he doesn't drive, I don't know, but I first heard about this novel and its author a few years ago when she was being interviewed on NPR. She and the plot drew my interest, so here goes. Mini review: This is a truly wonderful novel. It's a touch slow at first, but one soon learns to love the characters, even those who at first don't seem like nice people. This is a touching tale of an elderly couple with a tragic past who have grown apart over the years, but eventually ... well, I don't want to give it away. Just a great book. Not an action-oriented book, but probably the best of the modern literary tales I've read in a long while. Though this a better written book, it reminds me a bit of my own novel, More Than Kin. My weekly Nerdarchy article talks about how great villains can make a hero great. Check it out! Notes: This famed speculative novel is another I've been meaning to get to for years. Sometimes referred to as children's literature, sometimes as something more, I've had it on the backburner for some while. Here goes. Mini review: Not a bad book, but I didn't overly enjoy the writing, as easy to read as it was. The characters are interesting enough, but the plot is too vague for my liking and there is too much left unanswered by the end. Being that this was published in 1963, it was interesting to notice its influence upon later works, possibly even Harry Potter, to some extent. Also, Christian imagery was strong here, and somewhat obvious. For those with an interest in children's literature, this is worth reading, but otherwise, no, probably not. The plot? 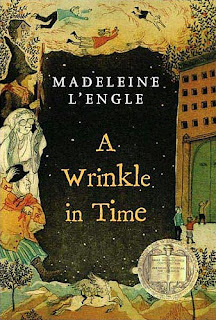 A girl, her younger brother and a friend go on a fantastical journey in search of her father, traveling to other planets via the help of some elderly ladies who seem like witches or angels or ... who knows?